The Las Vegas casino culture is littered with tales of “bad beats,” a strong poker hand that is edged out by a better hand. The industry has even capitalized on bad beats by offering special jackpots for those unfortunate enough to come up with a great hand only to see hopes dashed by another player. The state Gaming Control Board will decide next month if players at five Station Casinos poker rooms should share a bad beat progressive jackpot of $120,000. More than 80 players could be paid, since Station’s Jumbo Hold ‘Em Poker Progressive jackpot pays everybody who’s competing in any of the poker rooms at the time a bad-beat jackpot hits. The biggest winner could be 83-year-old Avi Shamir, who thought he’d won $60,000 — a 50 percent share of the jackpot — for losing in a bad beat with a straight flush. His hand was topped by Len Schreter, a self-proclaimed recreational player who says he’s played at 80 percent of Las Vegas’ poker rooms. Schreter, who had the winning hand with a higher straight flush, and Shamir were playing around noon on July 7 in the poker room at Red Rock Resort. When a bad-beat jackpot is hit, a sign lights up at all Station poker rooms, notifying players they may be eligible for shares in the jackpot. When that happens, poker room officials take names and contact information from players while supervisors at the site of the winning hand verify the sequence of play. That’s when things went horribly wrong for Schreter, who was in line to win $30,000 as the player responsible for Shamir’s bad beat. Initially, he thought he had won $12,000. Station contends that exposing the cards early constituted a communication among players that invalidated the jackpot. The players say Schreter’s revealing of his cards came after the river card was dealt — the last one in the sequence of the game — and that the final outcome couldn’t be changed once that card was on the table. Forrest Caldwell, who was the poker manager at Red Rock at the time of the game, invalidated the jackpot after consulting with other executives. Players asked the Gaming Control Board, which routinely investigates disputes between players and casinos, to review the matter. Control Board investigator Bill Olliges conducted the review and determined that the players should be paid. He indicated Schreter violated traditional poker etiquette by exposing his hand, but his action didn’t change the game’s outcome. Once an investigation is completed, either party can appeal and Station requested a hearing that, after several delays, was conducted Tuesday. 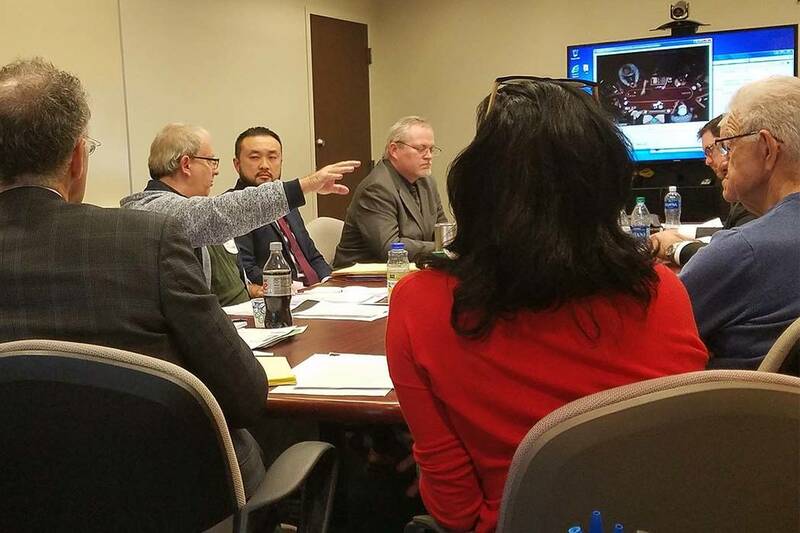 About 15 people gathered in a conference room at the Control Board’s Las Vegas office for the hearing, conducted by Chan Lengsavath. Also attending were Schreter, Shamir, Rochelle Lindner, who was playing at Red Rock, and Michael Bluestein, who was playing at Santa Fe Station at the time of the incident. Shamir, who speaks English as a second language, was assisted by his son-in-law, Peter Bransten, a San Francisco-based attorney. Station was represented by Caldwell and attorney L.J. Semenza, who presented the casino’s case. Retired Control Board enforcement officer Richard DeGuise also testified as an expert witness on Station’s behalf. The players and Station presented testimony for about three hours and were allowed to question the witnesses. Schreter clearly tossed his cards face up on the table after the river card was dealt, but before the dealer asked for a show of hands. If either player had gone “all in” on the flop, the turn or the river and the other player called, the action would be complete. If the players still have chips after the river card but “check” acknowledging they’re not betting, the action also is complete. But if a player exposes his cards before the action is complete at any point, the hand could be questioned. Schreter, who said he hasn’t returned to play at a Station poker room since the incident, said he exposed his cards because he knew he had won the hand and the pot. He said he sympathized with Shamir. Bluestein said Station invalidated the jackpot because of the financial loss it would take. However, a separate “drop” taken from the pot in the games funds the bad-beat jackpots. The Station witnesses said the company undertook a thorough investigation of what occurred and was enforcing the posted rules of the game with its action. Lengsavath, who will compile the testimony from Tuesday’s hearing along with the earlier investigation, said he would complete a report to the three-member Control Board later this month or in early January. He didn’t indicate what he would recommend. 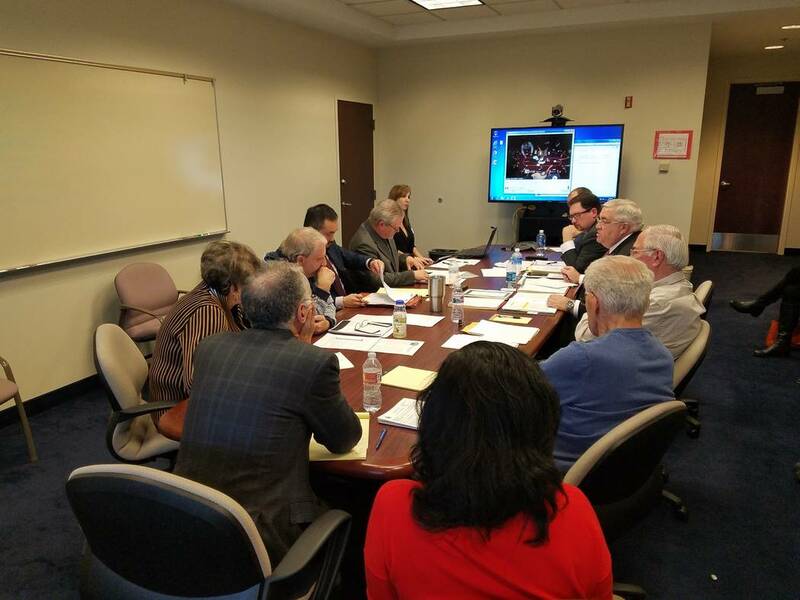 The Control Board will consider the hearing officer’s recommendation, probably on the second day of the board’s Jan. 10-11 meeting in Las Vegas. Lengsavath said the board has abided by his recommendation every time he has conducted a hearing. If Station is dissatisfied with the outcome, it could appeal to Clark County District Court.